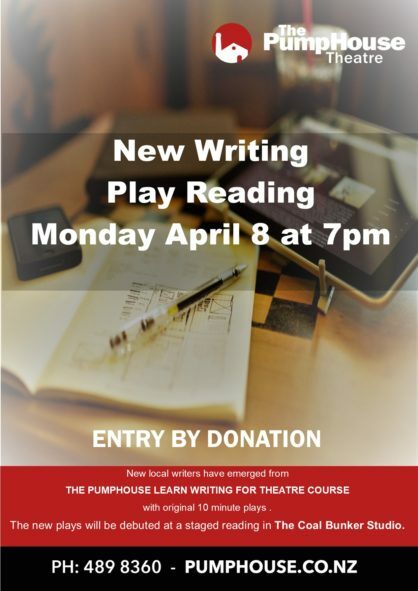 The emerging writers from The Pumphouse Learn Writing for Theatre Course have written their first plays and in April will see their plays being read on stage for the first time. Award winning playwright Gary Henderson has guided the new writers to craft their story ideas into something that can be acted, directed and developed into a performance. We encourage aspiring writers to come along to the staged reading – and to go on the wait list for the next Writing for Theatre Course planned for later this year. Everyone is welcome to come to the reading on April 8th – entry by gold coin donation.